In the 10th century the Emperor Otto I created the County Palatine of Saxony in the Saale-Unstrut area of southern Saxony. 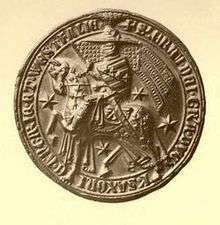 The honour was initially held by a Count of Hessengau, then from the early 11th century by the Counts of Goseck, later by the Counts of Sommerschenburg, and still later by the Landgraves of Thuringia. With the final removal of the Welfs in 1180, the Duchy of Saxony was sharply reduced in territory. Westphalia fell to the Archbishop of Cologne, while the Duchies of Brunswick and Lüneburg remained with the Welfs. The Ascanian Dukes had their base further east, near the Elbe, resulting in the name Saxony moving towards the east. The post carve-up Saxony is therefore sometimes called the younger Duchy of Saxony. Also the counting of its dukes is discontinued. While the first post carve-up duke is competingly counted as Bernard III—because of two predecessors of the same name before 1180—or as Bernard I with his great-great-great-great grandson Bernard II being counted second. 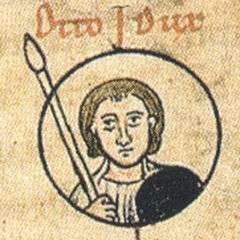 The second post carve-up duke Albert I is already usually counted as the first, although before 1180 he had one predecessor of the same name, being even his grandfather Albert the Bear. John I 1260–1282 joint rule with his brother Albert II until 1282, when John I resigned. Some time after 1272 John I and Albert II divided some competences among each other, however, continued joint rule. In 1296 Albert II and his nephews Albert III, Eric I, and John II terminated their joint rule and partitioned Saxony into the Lauenburg line, where Albert III, Eric I, and John II continued to rule jointly until 1303, and the Wittenberg line, where Albert II continued as sole ruler until 1298. 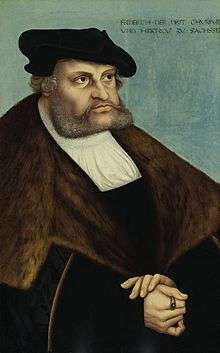 Since the Duke of Saxony was considered one of the prince-electors electing a new Holy Roman Emperor, conflict arose between the lines of Lauenburg and Wittenberg over the issue of who should cast Saxony's vote. In 1314 both lines found themselves on different sides in a double election. 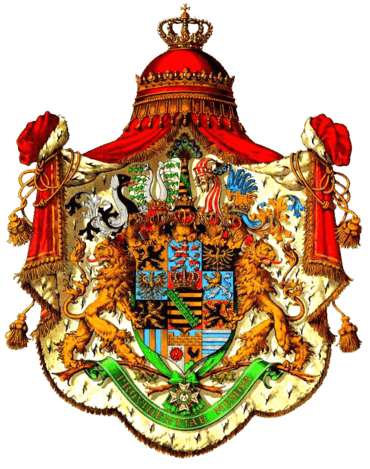 Eventually, the Dukes of Saxe-Wittenberg succeeded in 1356 after the promulgation of the Golden Bull. 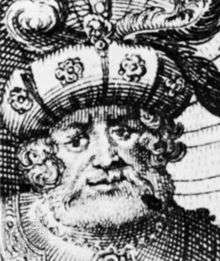 To distinguish him from other rulers bearing the title Duke of Saxony, he was commonly called Elector of Saxony. In 1303 the brothers partitioned the Duchy with Eric I receiving Saxe-Bergedorf, John II Saxe-Mölln and Albert III Saxe-Ratzeburg. 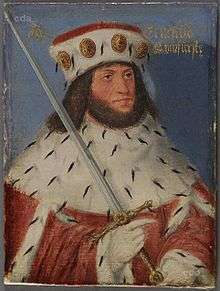 1321 He inherited Saxe-Ratzeburg from his brother Albert III in 1308. 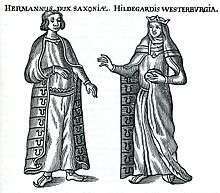 Eric I had inherited Saxe-Ratzeburg, with his brother John II he redeployed both their territories in 1321, after Albert's widow, Margaret of Brandenburg-Salzwedel, had died. The branch duchy was then renamed into Saxe-Ratzeburg-Lauenburg. 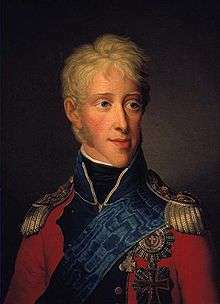 With Albert's death the Ratzeburg line of Ascania was extinct and Saxe-Ratzeburg was inherited by Eric I of Saxe-Bergedorf-Lauenburg, merging in Saxe-Ratzeburg-Lauenburg. John II reached a territorial redeployment with Eric I in 1321, after Albert's widow, Margaret of Brandenburg-Salzwedel, had died. 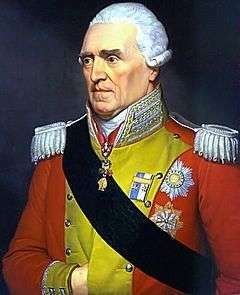 John received additionally Bergedorf, forming Saxe-Bergedorf-Mölln since. 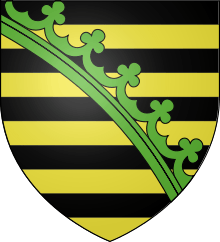 In 1401 Saxe-Ratzeburg-Lauenburg inherited Saxe-Bergedorf-Mölln from the Ascanian Elder Lauenburg line there extinct upon Eric III's death. The reunited duchy continued under the old name of Saxe-Lauenburg. In 1401, the Elder Line became extinct and Bergedorf-Mölln merged into the Younger line. Francis Erdmann 1665–1666 elder son of Julius Henry and his second wife. 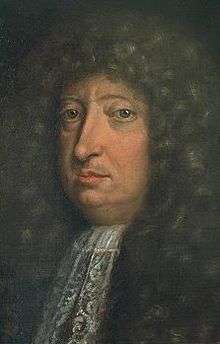 1666–1689 younger son of Julius Henry and his third wife. 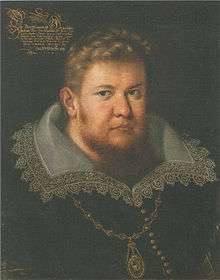 preventing the succession of the legitimate heiress, Anna Maria Franziska of Saxe-Lauenburg, and resucceeded with its Brunswick and Lunenburg-Celle line. 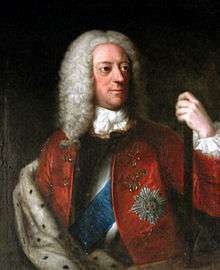 George I Louis 1705–1727 He was a nephew and son-in-law of George William. 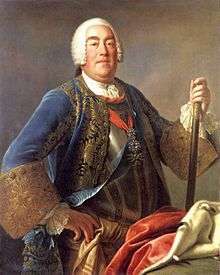 George II Augustus 1727–1760 in 1728 Emperor Charles VI enfeoffed George II Augustus with Saxe-Lauenburg, finally legitimating his grandfather's de facto takeover. 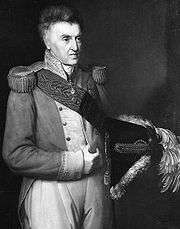 Frederick I 1814–1839 Frederick was a great-grandson of Duke George II Augustus on both sides, through his mother Caroline and through his father. The official colours of Saxe-Lauenburg were changed to red and gold. 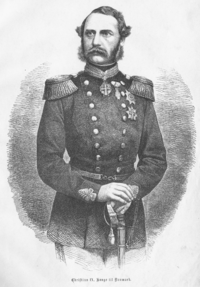 Christian II 1863–1864 deposed in Second Schleswig War and resigned by Treaty of Vienna. 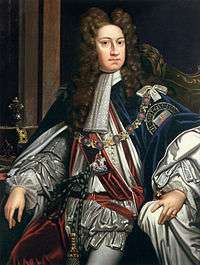 His mother was a cousin of Frederick I and Christian I as well as maternally and paternally a great-granddaughter of George II Augustus. 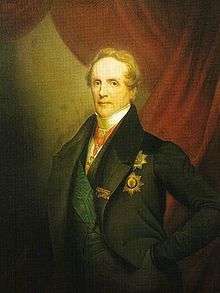 William 1865–1876 In 1865, the Estates of Saxe-Lauenburg offered him the ducal throne and he accepted. 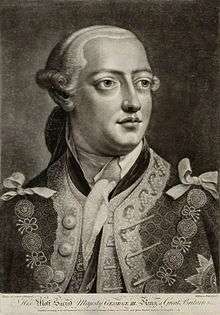 He was a great-great-great-great-grandson of Duke George William. The coat-of-arms of Saxe-Lauenburg was changed to the colours red and silver, with a border in the Prussian colours of black and white. Both duke and estates decided to merge Saxe-Lauenburg into Prussia, as district Duchy of Lauenburg, with effect from 1 July 1876. 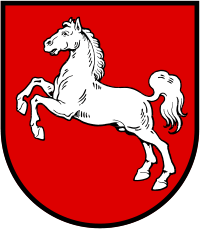 The Ascanian Dynasty continued in Saxe-Lauenburg until 1689, but after the Lauenburgish line had finally lost the Saxon Electorate to the Wittenberg line in 1356 and failed to obtain the succession in the Electorate after 1422, recognition of the Dukes of Saxe-Lauenburg as Dukes of Saxony waned. 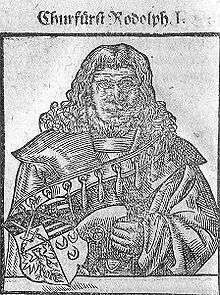 Rudolph I 1298–1356 rivalled as Saxon Prince-Elector by his cousin John II. In January 1356 the Golden Bull confirmed Rudolf I as the legitimate Saxon Prince-Elector, thus the rulers of Saxe-Wittenberg are conceived as Electors of Saxony since (see section Electors of Saxony below in this article). 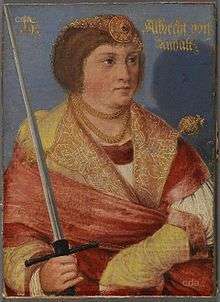 Albert the Bold 1464–1500 Younger son of Frederick II, Elector of Saxony. Divided the Saxon lands, including Thuringia and Meissen, with his brother Ernest in 1485. 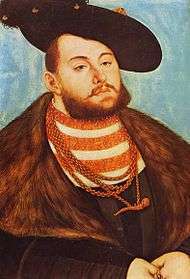 George the Bearded 1500–1539 Son of Albert. Opposed Martin Luther. 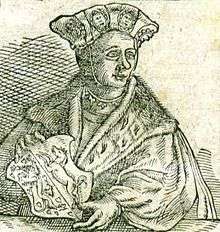 Henry IV the Pious 1539–1541 Brother of George. Introduced Lutheranism to Albertine Saxony. Maurice 1541–1553 Son of Henry IV. Became Elector 1547. 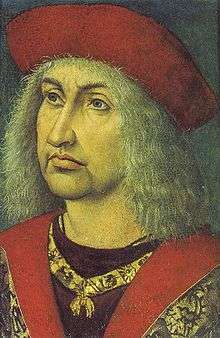 Rudolf I 10 January 1356 11 March 1356 Since 1298 Duke of Saxe-Wittenberg. Rudolf II 11 March 1356 6 December 1370 Son of Rudolf I.
Wenzel 6 December 1370 15 May 1388 Brother of Rudolf II. 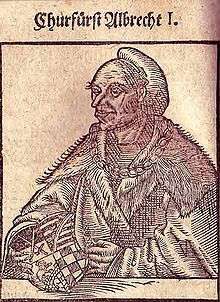 Rudolf III 15 May 1388 9 June 1419 Son of Wenceslaus. 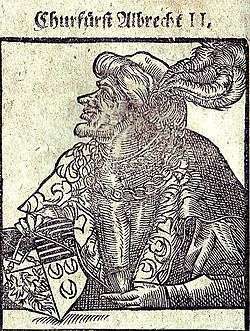 Albrecht II 9 June 1419 12 November 1422 Brother of Rudolf III. 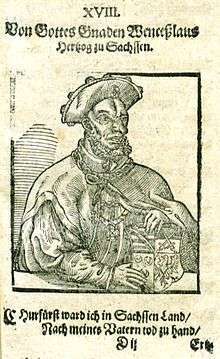 Johann Friedrich I 16 August 1532 19 May 1547 Nicknamed "the Magnanimous." Son of John the Steadfast. Deprived of his Electorate by Emperor Charles V for his role in the Schmalkaldic War. Died 1554. Friedrich August II 1 February 1733 5 October 1763 Son of Frederick Augustus I. Converted to Catholicism 1712. 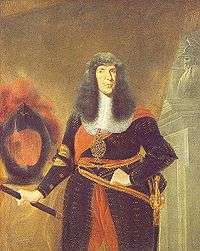 King of Poland 1734–1763. Called ""the Fat" or (in Poland) "the Saxon". 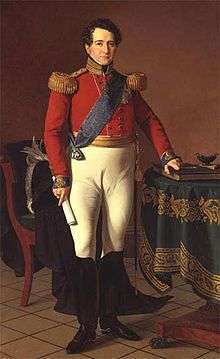 Friedrich August I 20 December 1806 5 May 1827 Duke of Warsaw 1807–1813. Called "the Just." Johann 9 August 1854 29 October 1873 Brother of Frederick Augustus II. 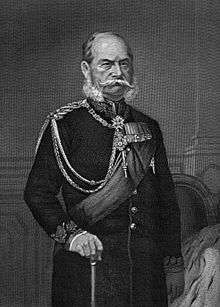 Became a subordinate ruler in the German Empire after the Unification of Germany in 1871. Albert 29 October 1873 19 June 1902 Son of John. Called "the Good". Friedrich August III 15 October 1904 13 November 1918 Son of George. The last King of Saxony. 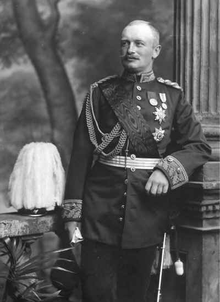 Abdicated voluntarily in the German Revolution of 1918–19. The legal line of succession of the house of Wettin has continued to the present, although the house no longer plays any political role. For later rulers, see List of Ministers-President of Saxony. 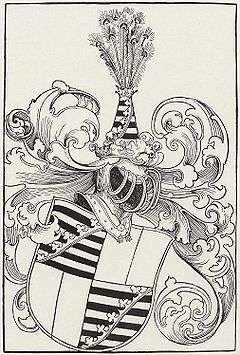 ↑ His wife was Adelheid of Pomerania; their daughter, Sophie of Saxe-Lauenburg (before 1428–1473), was married to Gerhard VII, Duke of Jülich-Berg. ↑ His wife was Dorothea of Brandenburg (ca. 1446 – March 1519, daughter of Frederick II, Elector of Brandenburg). Their children were Eric of Saxe-Lauenburg (1472 – 20 October 1522; Eric I as Prince-Bishop of Münster, Eric II as Prince-Bishop of Hildesheim) and Sophia of Saxe-Lauenburg (m. ca. 1420, d. 1462; mother of Eric II, Duke of Pomerania). ↑ He was married on 8 February 1540 to Sybille of Saxe-Freiberg (Freiberg, 2 May 1515 – 18 July 1592, Buxtehude), daughter of Henry IV of Saxe-Wittenberg. 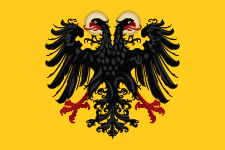 Their children were Henry of Saxe-Lauenburg (Henry II as Prince-Bishop of Osnabrück, Henry III as Prince-Archbishop of Bremen, and Henry IV as Prince-Bishop of Paderborn), Sidonia Katharina of Saxe-Lauenburg (m. Wenceslaus III Adam, Duke of Cieszyn) and Ursula of Saxe-Lauenburg-Ratzeburg (m. Henry III, Duke of Brunswick-Lüneburg [Dannenberg]). ↑ His wife was Princess Sophia of Sweden. ↑ His wife was Mary of Brunswick and Lunenburg (Wolfenbüttel) (1566–1626; daughter of Julius, Duke of Brunswick and Lunenburg (Wolfenbüttel)); their daughters were Juliane of Saxe-Lauenburg (26 December 1589 – 1 December 1630; m. 1 August 1627 to Frederick, Duke of Schleswig-Holstein-Sønderburg-Norburg) and Sophie Hedwig of Saxe-Lauenburg (24 May 1601 – 1 February 1660; m. 23 May 1624 to Philip, Duke of Schleswig-Holstein-Sonderburg-Glücksburg). 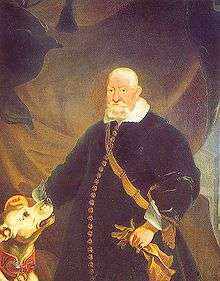 ↑ His wife, Elisabeth Sophie of Holstein-Gottorp, was the daughter of John Adolf, Duke of Holstein-Gottorp. 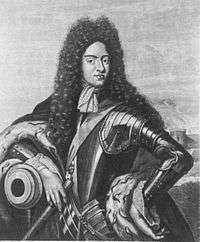 Their daughter was Anna-Elisabetha of Saxe-Lauenburg (23 August 1624–1688; m. 2 April 1665 to William Christoph, Landgrave of Hesse-Homburg). ↑ He was married first to Anne of Ostfriesland, then (on 27 February 1628) to Elisabeth Sophia of Brandenburg (13 July 1589 – 24 December 1629; daughter of John George, Elector of Brandenburg and mother of Duke Francis Erdmann), and finally (on 18 August 1632) to Anna Magdalene, Baroness Popel von Lobkowitz (d. 7 September 1668), who ascended with him to the throne on 18 January 1656. She was mother of Duke Julius Francis. 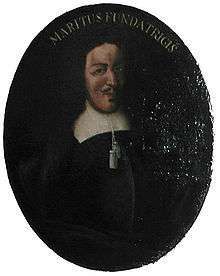 ↑ His wife was Hedwig of the Palatinate-Sulzbach (15 April 1650 – 23 November 1681; daughter of Christian Augustus, Count Palatine of Sulzbach); their daughters were Anna Maria Franziska of Saxe-Lauenburg and Sibylle Auguste of Saxe-Lauenburg.